Magistrate Ricky Burnette, earlier this week, gave a final adjournment in the matter, which, when it resumes, will be heard at the Georgetown Magistrateâs Court. Burnette stated his position at a sitting of the Biabou Magistrateâs Court on Wednesday. Frederick appeared in court a few minutes late, accompanied by her new counsel, Andrew Pilgrim of Barbados. Prominent local lawyer Kay Bacchus-Browne is no longer representing Frederick in the matter. Pilgrim advised the court that they were appearing to indicate new appearances on behalf of Frederick, ahead of the initial trial date of April 16, which had been set by the Mesopotamia Magistrateâs Court when the matter came up for hearing on April 2. Pilgrim also indicated to the court that Trinidadian attorney Keith Scotland will also appear on Frederickâs behalf. Burnette said his decision to give a final adjournment to April 30 will give both sides time to prepare. He also stated that he wanted to hear the matter in one of the countryâs more comfortable courtrooms, hence his decision to hear the matter at Georgetown. 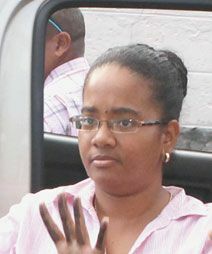 Frederick, an attorney-at-law and an opposition senator, is charged with, that on January 10, 2011, at Kingstown, she did make a false declaration before Miss Sonya Young, a magistrate, a person authorised to take a declaration upon a matter of public concern, under circumstances that the false declaration, if committed in a judicial proceeding, would amount to perjury. Frederick was also charged with making false declarations on June 16, 2011 and May 23, 2012 before Faye James. On February 15, 2013, three further charges were made against Frederick. At that time, she was charged with swearing falsely before Sonya Young and Faye James, persons authorised to take the oath on the same dates as the first set of charges. Frederickâs father, attorney Bayliss Frederick and lawyer Ruth-ann Richards also appeared with Frederick.